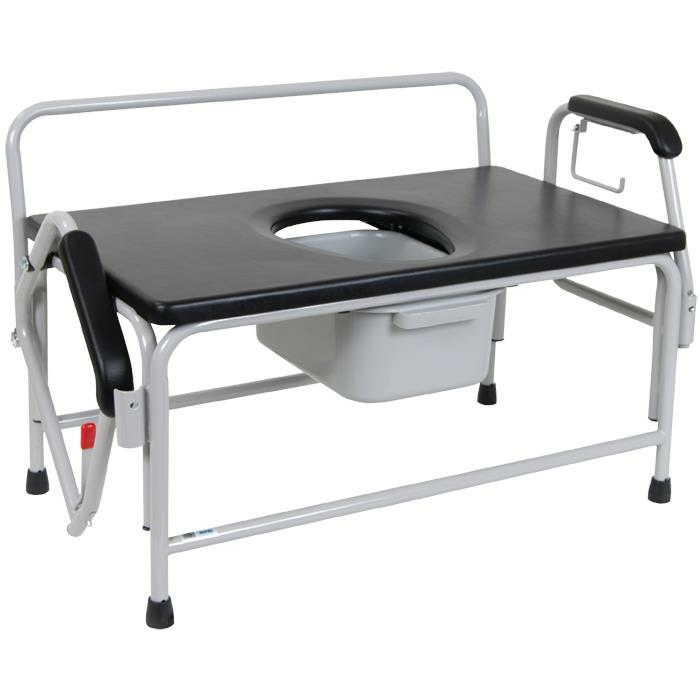 Drive Bariatric Extra Large Drop Arm Commode features a durable, heavy-duty, white powder coated steel construction. The easy-to-release drop-arm mechanism allows for safe lateral transfer to and from the commode. It has padded deep seat and padded armrests which provide comfort and support.